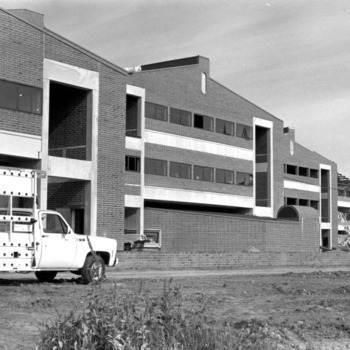 Curtin becomes the first dean of the School of Veterinary Medicine (later College). He served in the position until 1992. Meg Sutherland-Smith awarded doctorate from College of Veterinary Medicine. She had previously earned a Master of Science. She later became senior veterinarian at the San Diego Zoo and a pioneer in neonatal care of giant pandas. David E. Anderson awarded a Doctor of Veterinary Medicine degree. He had previously received a Bachelor of Science degree. He later became a professor at Kansas State University and a specialist in veterinary care of alpacas and llamas. Krista La Perle was awarded a Doctor of Veterinary Medicine degree. She had previously received a Bachelor of Science degree. She later became director of Ohio State University's Comparative Pathology and Mouse Phenotyping Shared Resource, a center that supports pathology investigators utilizing animal models to study human diseases. 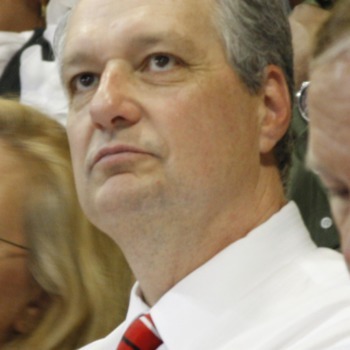 Arden serves in this position until 2010, when he becomes provost. 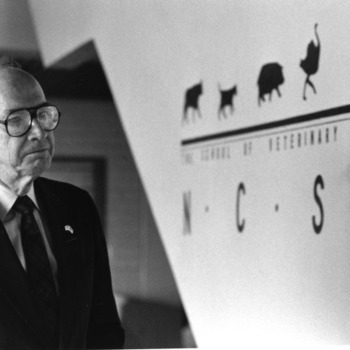 Terrence M. Curtin wrote The College of Veterinary Medicine, North Carolina State University: A Personal Perspective of Its Founding. Bristol is interim dean of the College of Veterinary Medicine from 2010-2012..
Lunn became Dean of the College of Veterinary Medicine.